Twitter said on Tuesday that President Trump is not immune from being kicked off the platform if his tweets "cross a line" with abusive behavior, reports Politico. The social media giant has previously said that vitriolic tweets from world leaders with newsworthy statements would be allowed some leeway, however it's "not a blanket exception for the president or anyone else," according to comments made to Politico by legal and policy chief Vijaya Gadde, alongside CEO Jack Dorsey. Trump tweets almost daily to his 54.2 million followers - heaping abuse on his foes at times, including threats - such as that to North Korea prior to a June summit in Singapore, in which he said that if North Korean leaders continue with their dangerous rhetoric, "they won't be around much longer!" Dorsey, who is set to testify before two congressional committees Wednesday about censorship and other corporate policies, says he receives notifications to his phone when Trump tweets - however he declined to get into specifics when asked if he would weigh in personally to remove Trump from the platform. "We have to balance it with the context that it’s in," he said. "So my role is to ask questions and make sure we’re being impartial, and we’re upholding consistently our terms of service, including public interest.". Twitter and Facebook have both been under intense pressure from legislators over how the companies decide to censor content, as well as which advertisements they allow to run on their platforms. 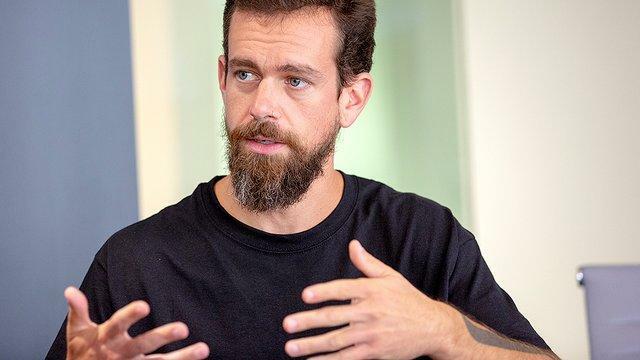 Dorsey is testifying on Capitol Hill on Wednesday, first before the Senate Intelligence Committee - where he will discuss foreign use of social media for election meddling, and later to the House regarding allegations of bias against conservatives.